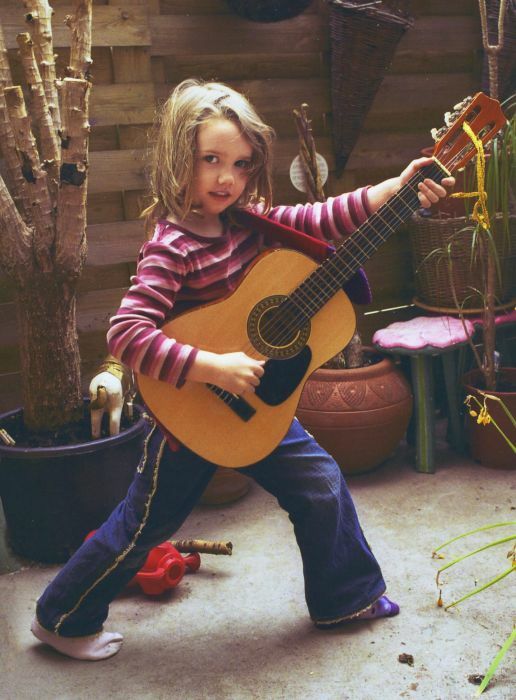 Rosie Meader’s first gig was in the Netherlands when she was 4. It was a fundraiser for the 2004 Boxing Day tsunami that killed more than 230,000 people across 14 countries. Rosie’s now 17 and heading into her HSC exams at the Newtown High School of the Performing Arts (NHSPA). She’s also just released her third CD – The Rosie Meader Trio: Here Comes the Sun. It’s a feel-good album featuring covers that appeal to the international travellers that visit the weekly markets at The Rocks each Saturday where the trio busks. The other two members in the line-up are Rosie’s brother Josh (guitar), who is studying Jazz Guitar at the Sydney Conservatorium of Music, and her father Paul (guitar, bass, backing vocals, keyboard, percussion), who has performed in a variety of successful ensembles since his early days playing lead guitar in a rock band and sporting Peter Frampton hair. Fellow NHSPA student Clare London also sings some sleek harmonies on the album, which was recorded in the Meaders’ DIY home studio. The house is a hive of musical activity and, with Rosie warming into her classical repertoire for her HSC performance of music by Mozart, Gluck, Elgar and Marcello, the neighbours are subjected to some weird, wonderful and “animalistic” sounds. Being in a family band has had its advantages with band members on hand for rehearsals, and Paul writing up the guitar charts, mixing the recordings, and helping her to learn the bass. Carolyn’s an illustrator – so she’s also contributed her skills to conceiving the photo shoots and designing CD sleeves that turn people’s heads. Carolyn says it’s uncertain where Paul’s musical talent comes from given that all his forebears from the 1700s in England onwards have been stonemasons. While the Meader musos are close knit, their tastes vary – and their record collections are kept separate. Josh is heavily into jazz, Rosie loves musical theatre, and Paul’s stash includes a bit of everything with country music his most recent obsession. “When you were younger he had a Latin phase,” Carolyn says, smiling at her daughter. “He bought bongos and had a big sombrero. “He was also in a very successful gypsy jazz band called the Robin Nolan Trio that toured the world. What Rosie likes most about singing is changing people in some way; giving them something that will either brighten up their day or make them think about things. She finds inspiration in the stories that great artists tell in their songs, and says her trio transforms their favourites “just a little” by setting them to their own “tunes”. For example, the cruisy version of “Big Yellow Taxi” on Rosie’s new album was inspired by Joni Mitchell’s later-life reworking of the tune – stripping it back and making it more acoustic. Rosie’s written about 10 original songs that are tight and around 20 more in the pipeline. One original by her and Paul called “Song of Love” is included on the CD and it’s stylish – sitting neatly amidst songs by The Beatles, Edith Piaf and Bob Marley. NHSPA has been pivotal in Rosie’s development as a musician and performer. “I love doing all the extra-curricular bands and choirs. It’s so good. It’s teaching me that side of things – and just being with a bunch of creative kids is so much fun. She’s gone from rock and roll, to jazz, to musical theatre and more recently to opera, says Carolyn. “It’s been a massive development. You know what I mean? Rosie enjoys being part of the Talent Development Project at the International Screen Academy where she’s been studying singing with Janice Light to improve her classical technique. With her captivating voice and intrepid demeanour she’s got an excellent chance of doing well.